Straight away I knew what to expect; old varnish left on certain parts of the floor that dip down slightly, drum marks all over the place from where they have stopped with the sander before lifting the drum off the floor, it was your typical “how hard could it be?” DIY job. None the less it gave me food-for-blogging-thought. Before I start, I just want to say, either hire a professional (someone that does it every day) or do it yourself. 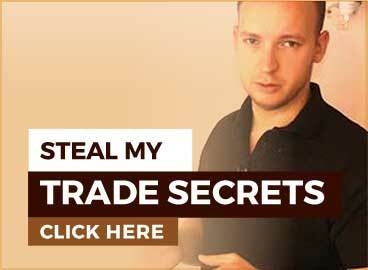 Don’t hire another DIYer! For all intents and purposes, that’s what they are. The builder that had sanded this floor had “done it before,” so don’t let that one trick you either. A builder or decorator will probably cost as much as a professional, because they will take longer to do it because they don’t have the knowledge or the tools to do it quickly. If they do manage to complete it quickly, they are probably doing a very bad job! The issue I want to address today is just a simple choice that can make a big difference to the finishing quality of the floor. That simple choice is whether you should do the final drum sanding last or the final edge sanding last. Last year I drove across 2 counties to go and help a friend that was over worked and under staffed. Whenever I meet anyone that does floor sanding I have to ask them a thousand questions about their methods and what products they use. Turns out that after 10 years of floor sanding he had always finished his floors with the drum sander then went round the edges with a palm sander to smooth out the ridges. I was shocked. But this is what happens when you just learn on your own without meeting other people in the industry. You develop assumptions and bad habits that you never question. I told him what I will now tell you. Always do the final edging after the final belt/drum sanding. It creates a much smoother finish around the edges. Finishing with the drum sander tends to leave drum marks near the edge of the floor. It doesn’t look so bad when you do it, but when you put a lacquer on it with some level of reflective sheen, it stands out like a sore thumb. It’s little tips like this that people wouldn’t know without experience. It doesn’t take any skill to make this change to your method yet knowing it can make a fair difference to the quality of the finish. It’s what this website is all about. when you say ” Always do the final edging after the final belt/drum sanding” do you mean once you have done all your grits on the drum sander, i.e. before you use the edger you sand to the finest grit with drum? , but then on the edge what you do, do you then go through the grits again ? I would say do all the drum sanding, then all the edge sanding. That way you are feathering the edges out into the main floor, and smoothing out any drum marks. I work for a third generation flooring company. The final sanding is always done with 100 grit with the edger, then 100 grit with the drum sander. Any inconsistency around the perimeter is smoothed out with the buffer. Its possible for a professional to do that, but it’s not good advice for a novice. 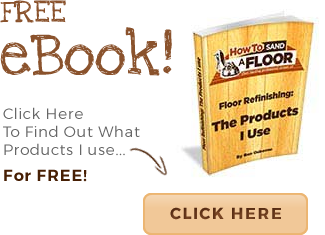 You do flooring but how often do you actually sand floors? 100 grit on an edger is possible sometimes but very often its too fine and spins too fast and just burns the wood very quickly. Or on sappy woods where anything over 60 grit gums up the disk. 80grit is just a rule that applies to most floors.